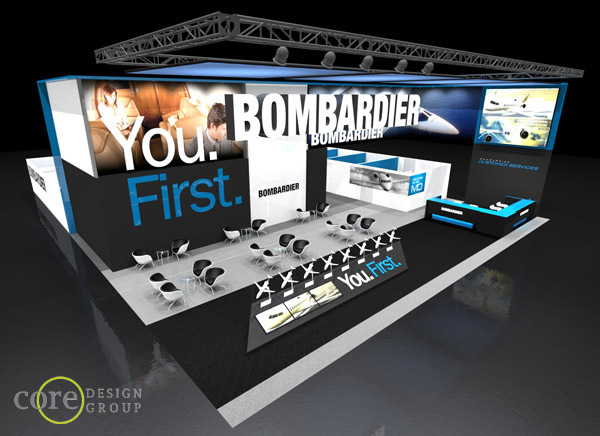 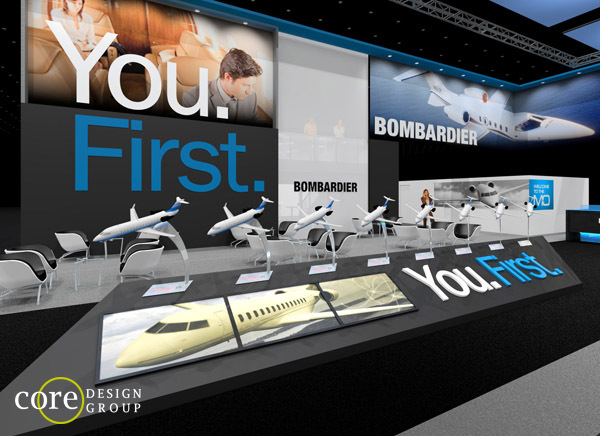 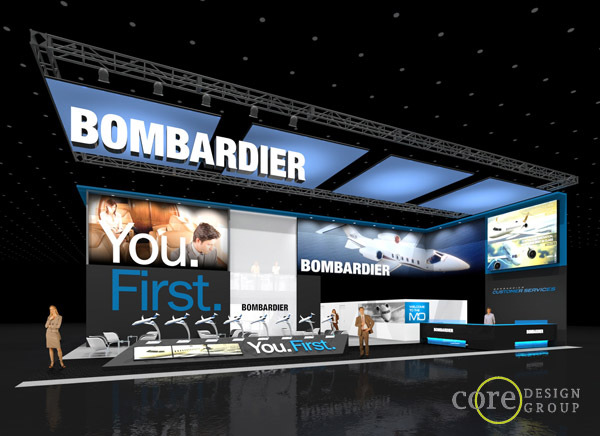 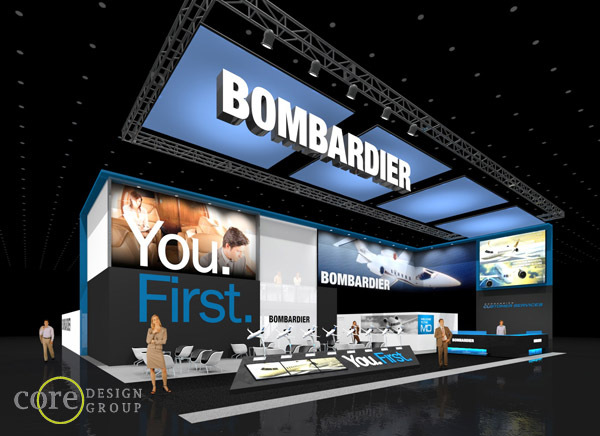 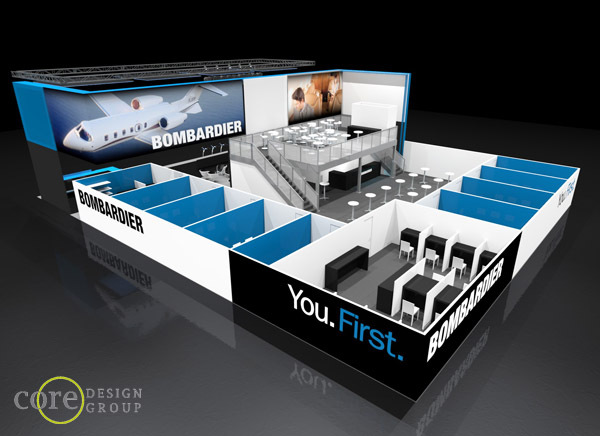 This well branded exhibit for the Bombardier is 70’x90′ and designed for NBAA 2011. 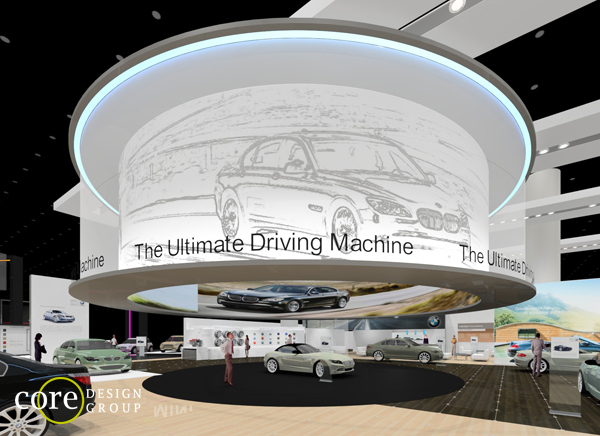 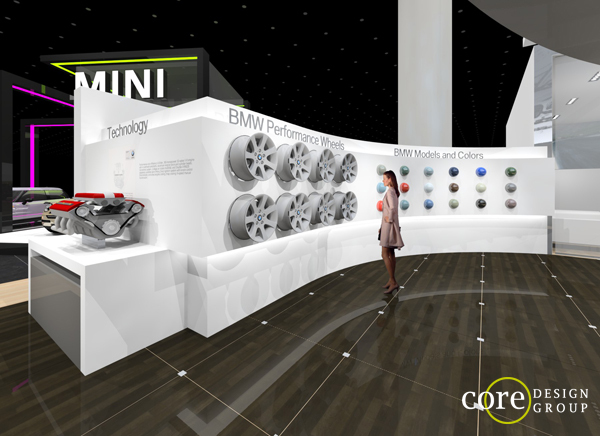 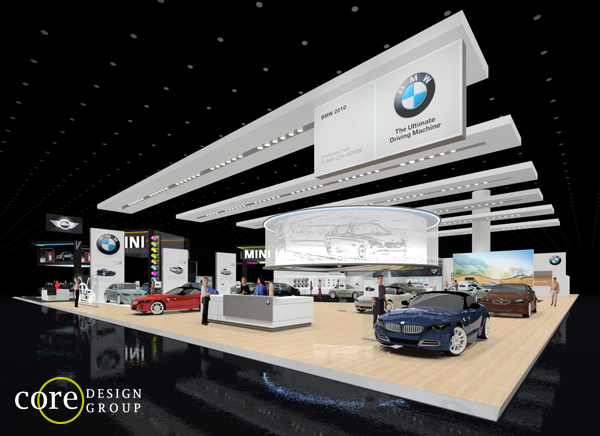 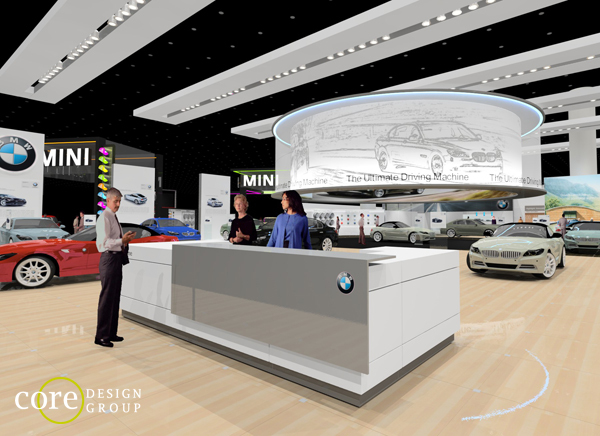 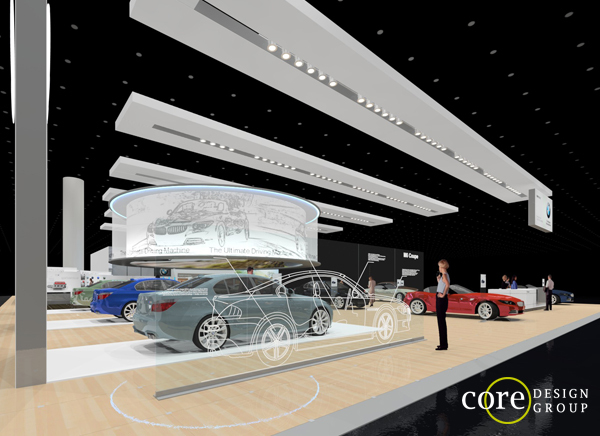 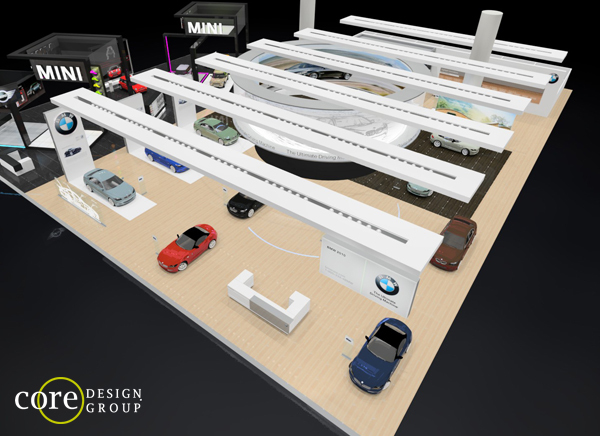 BMW exhibit concept for a 99’x163′ Island Exhibit for multiple Auto Shows. 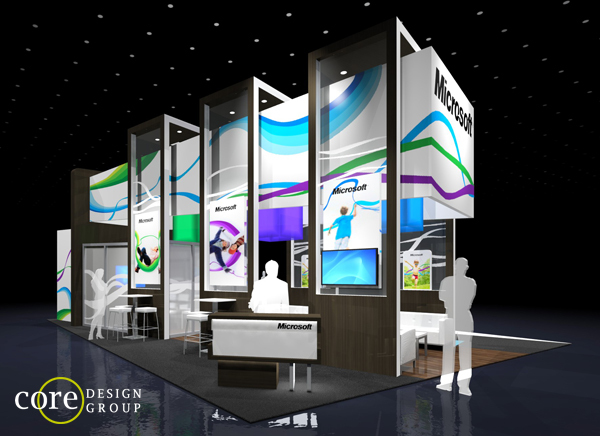 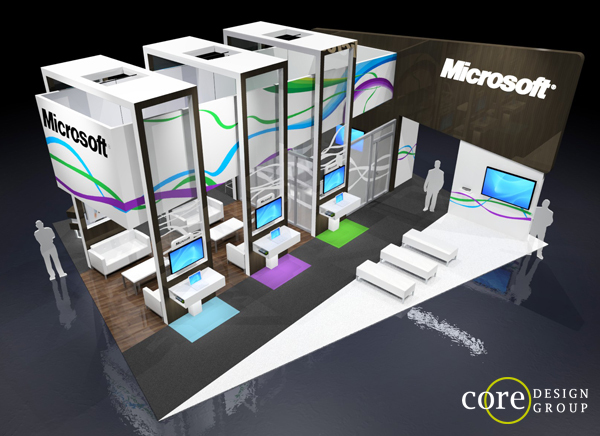 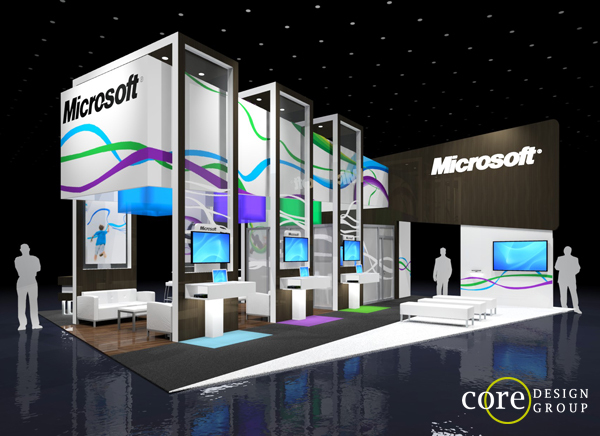 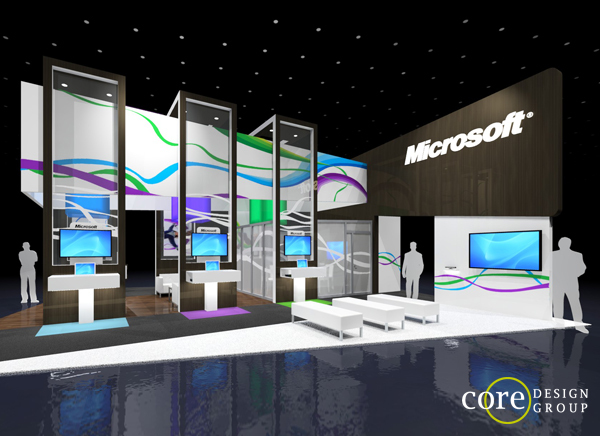 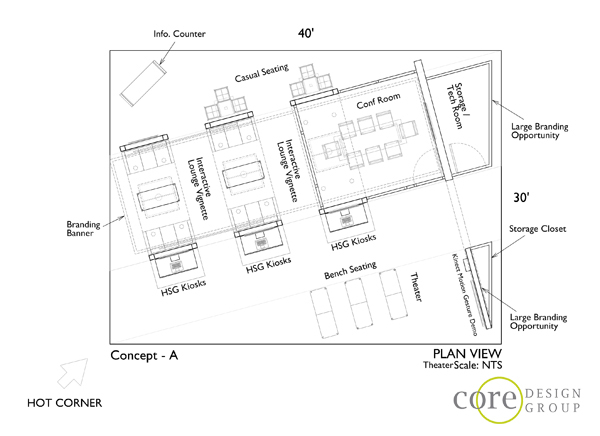 An Island exhibit for the Microsoft Health is a 30’x40′ designed for RSNA 2011, integrating there current branding. 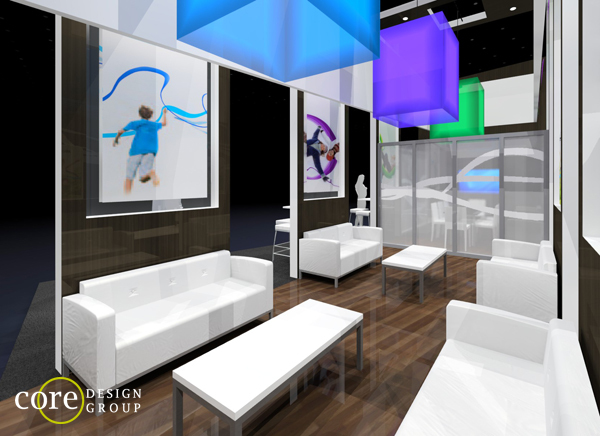 This stunning 20′ x 60′ exhibit for the New Balance shoe company to be used for promo and sales during the NYC and Chicago marathons. 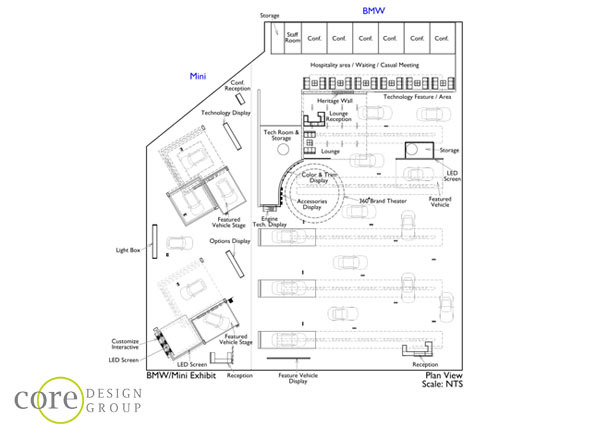 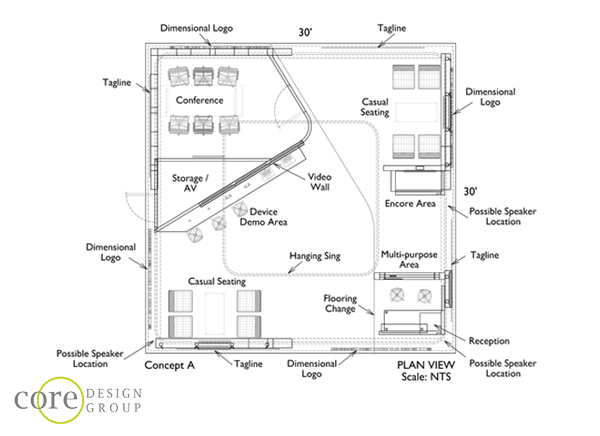 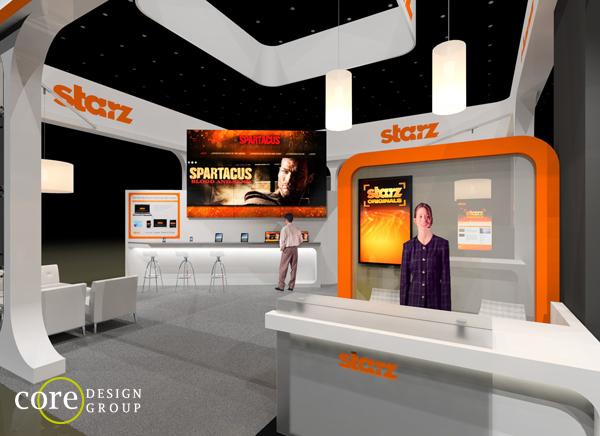 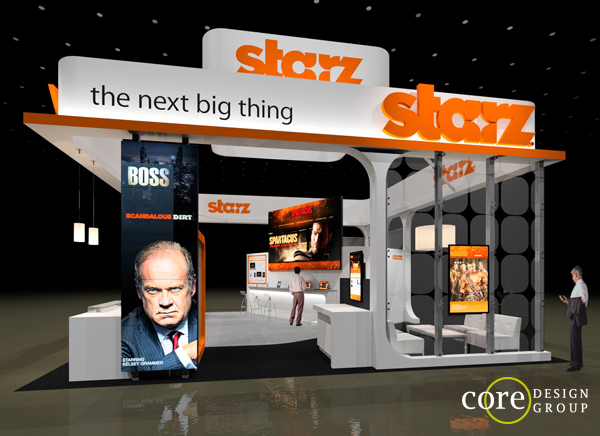 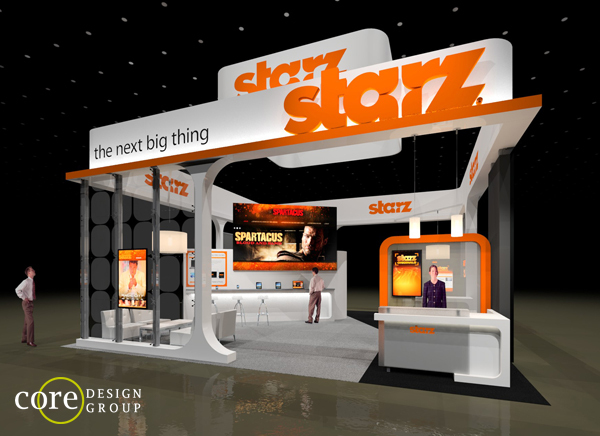 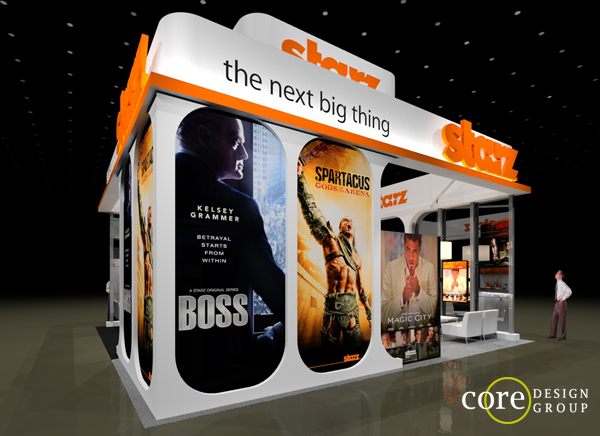 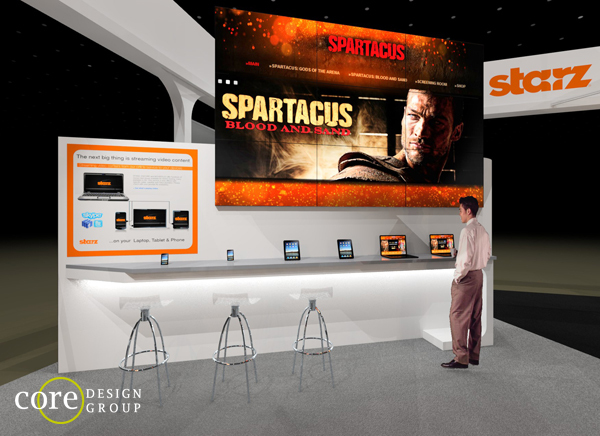 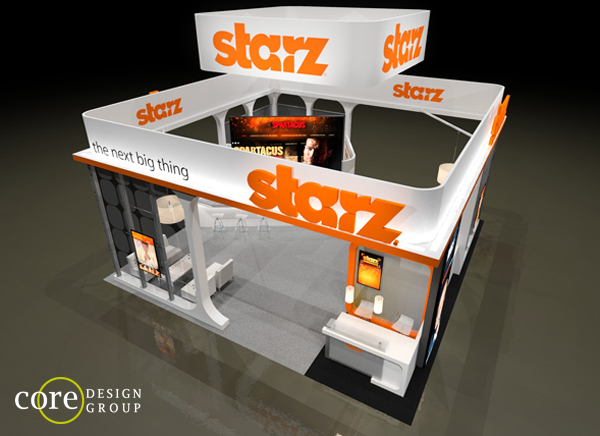 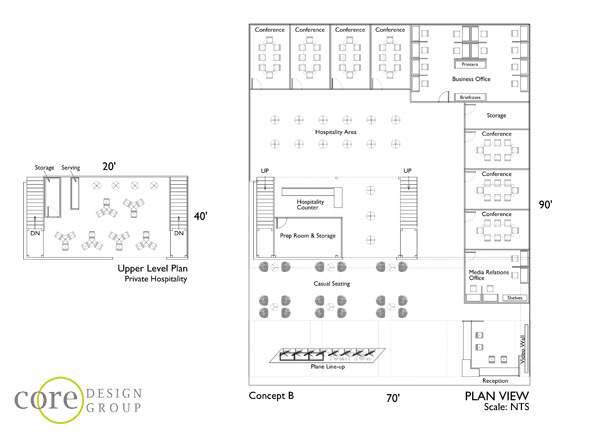 Design concept for the Starz Network exhibit at the 2012 Cable Show. 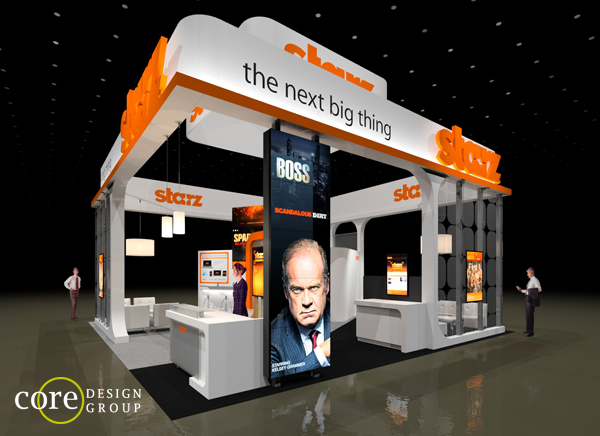 A 30’x30′ Island Exhibit with beautifully lit logo ID on a elegant white and glass structure to draw attention and attract attendees.